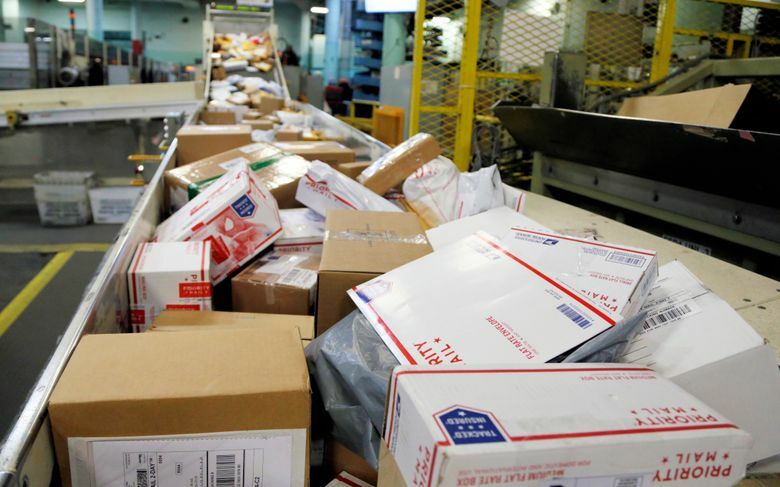 NEW YORK (AP) — Attention shoppers: You may soon be paying more taxes on what you put in your online cart. The Supreme Court ruled Thursday that states can require online retailers to collect sales tax on purchases that come from states where they don’t have any shops, offices or warehouses. Before that, retailers didn’t have to collect state sales taxes if it was shipping items to someone in a state where the business didn’t have a physical presence. Shoppers were generally supposed to pay the sales tax to the state themselves, but most didn’t, says Gerald Storch, who was CEO of department store operator Hudson’s Bay and now runs a retail consulting firm. The ruling is a victory for states that said they were losing billions of dollars in revenue every year, and for large retailers that had argued that the physical presence rule meant they were playing by different rules than online-only sellers. Small businesses may have to figure out how to comply with various state sales tax laws, though there are software options to help. DON’T I ALREADY PAY SALES TAX WHEN I BUY ONLINE? You may, depending on where you live and what online store you shop at. Many big retailers, such as Amazon.com and Macy’s, already collected sales tax for online purchases because they had warehouses or stores in those states. But smaller online stores may not have been collecting sales tax, which the Supreme Court ruling could change. You’ll have to pay up if the state you live in passes laws that require online retailers to collect sales tax, says Joseph Bishop-Henchman, the executive vice president of the Tax Foundation. But when and if that happens depends on the state: Some may pass laws quickly, others can take years and some states, like the ones that don’t have a sales tax, may choose not to require it, says Bishop-Henchman. David Campbell, CEO of TaxCloud, one of the companies that manufactures tax compliance software, also noted that how long it may take for states to weigh in isn’t known, since some have part-time legislatures. I SHOP ON AMAZON ALL THE TIME, WILL IT COST MORE NOW? If you’re a big Amazon.com shopper, and live in one of the 45 states with a sales tax, you likely already pay sales tax on some orders. Amazon collects sales tax for products that it sells directly, but third-party vendors that sell goods on the site may not collect sales tax. That may change as state laws are modified. Amazon has said that half the items purchased from its site come from third-party sellers. WILL PEOPLE BE TURNED OFF ONLINE SHOPPING BY A SALES TAX? It remains to be seen if online shoppers will abandon their virtual carts because of a sales tax. Some shoppers may not notice, or care, analysts say. And some shoppers find online shopping too convenient to give up. Ed Teisanu, a 39-year-old sales manager in Minnesota, doesn’t think a new tax will change his buying habits, which is a mix of in-store and online. He said retail stores have essentially become showrooms for things he buys online and he will keep shopping online if he can still get a better price. “I don’t have to travel anywhere and typically online prices are still lower than retail stores,” Teisanu said. Associated Press writers Anne D’Innocenzio in New York and Youssef Rddad in Minneapolis contributed to this report.